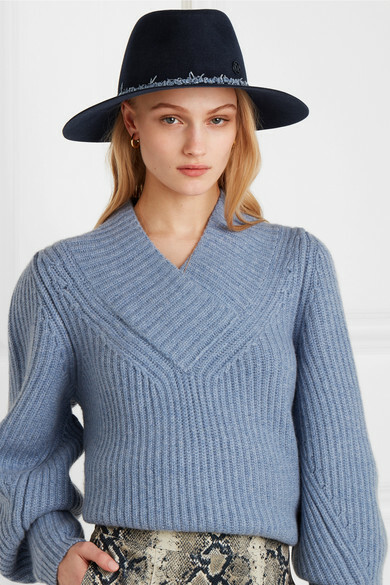 Maison Michel's 'Charles' fedora has been expertly handcrafted in Italy from navy rabbit-felt. 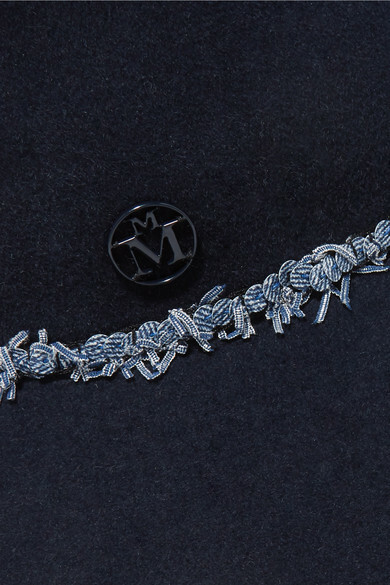 It's decorated with frayed denim strands and a signature logo charm. The elasticated internal band ensures a secure fit. Shown here with: Khaite Sweater, we11done Pants, BY FAR Shoulder Bag, BY FAR Mules, Jennifer Fisher Earrings.